Personal Piñata | Pi'ikea St.
Piñatas are pretty typical to have for big parties, especially kid birthdays. Though, our next project is for those little “just because” indoor celebrations. 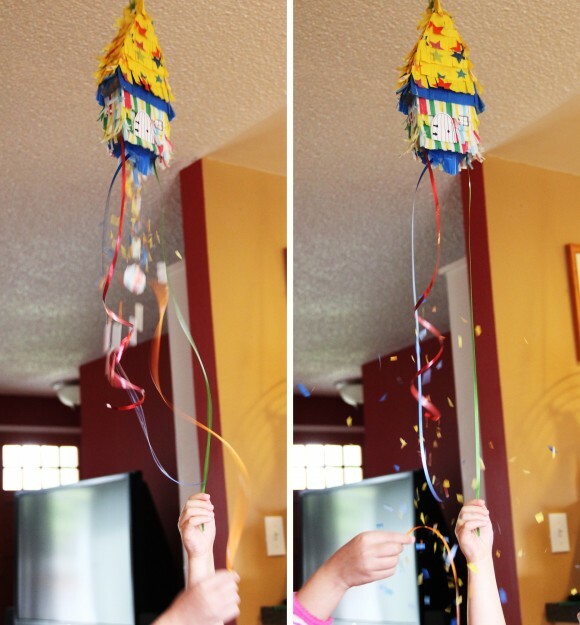 Personal piñatas are small enough to put together yourself and don’t require a baseball bat or stick. This piñata project is partially inspired by Cinco de Mayo and all those plush sewn houses floating everywhere on the web these days. To prepare your box, cut off the two narrow sides of the box and set these pieces aside. Sketch a house shape on one of the large panels. Try to use one of the flaps as the bottom portion of your house. Cut the shape out. Use this piece as a stencil on the other large panel. 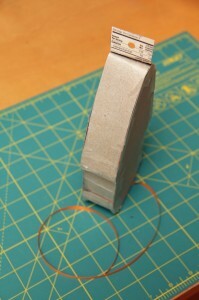 Cut a narrow semicircle on the bottom flaps. 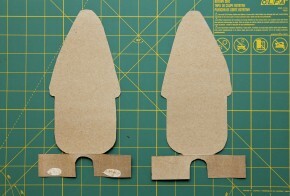 Next glue the bottom flaps together and pin them in place. Tape on a small piece of tissue paper over the hole. Next, flip it over and tape a piece of ribbon (about 3 feet long) onto the tissue paper. Take your narrow pieces from step 1, and begin to assemble the piñata together with tape. Before taping on your final pieces, fill your piñata with a few little goodies and lots of colorful confetti. 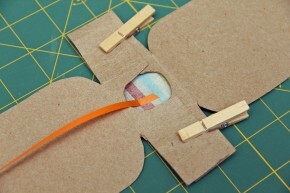 You can use pieces from your hole punch or snip up pieces of tissue paper. 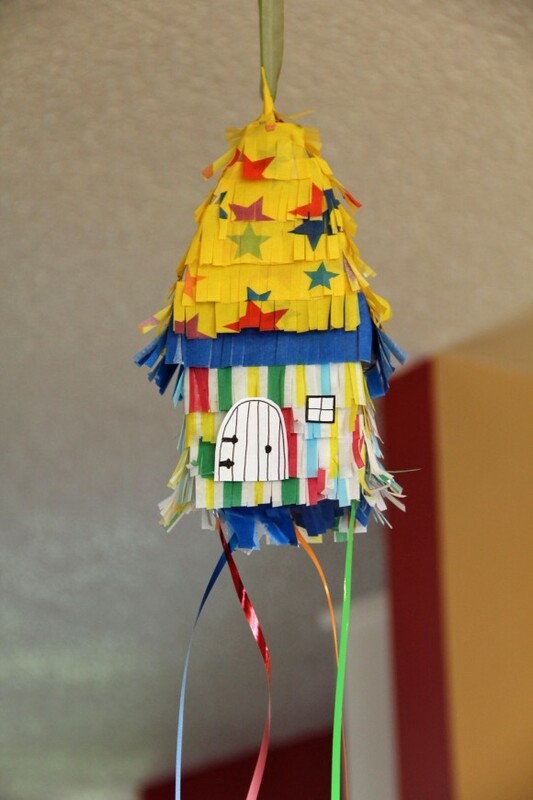 Then close up the piñata and keep about a 1 ½” tab at the top. Punch a hole in the middle of the tab. 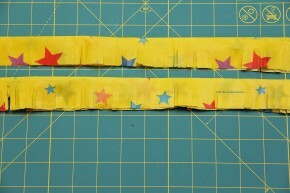 Prepare some tissue paper by cutting them into strips about 2½” wide. 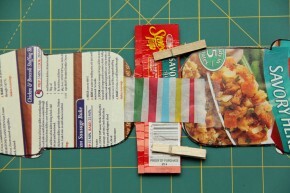 Layer two strips on top of each other and fold entire strip in half lengthwise. Then begin to cut narrow slits leaving about ½” intact. Now glue your tissue paper on starting from the bottom of the house. Then draw a door and some windows for your house on paper. Cut out and glue them on. Tape on more ribbons to the bottom of your house. Let your piñata dry well before using it. Hang your piñata low enough for your kids to reach the ribbons. To play, allow each child to pick a ribbon and let them pull. Who will guess correctly and unleash the surprises? Have a fiesta of a time!